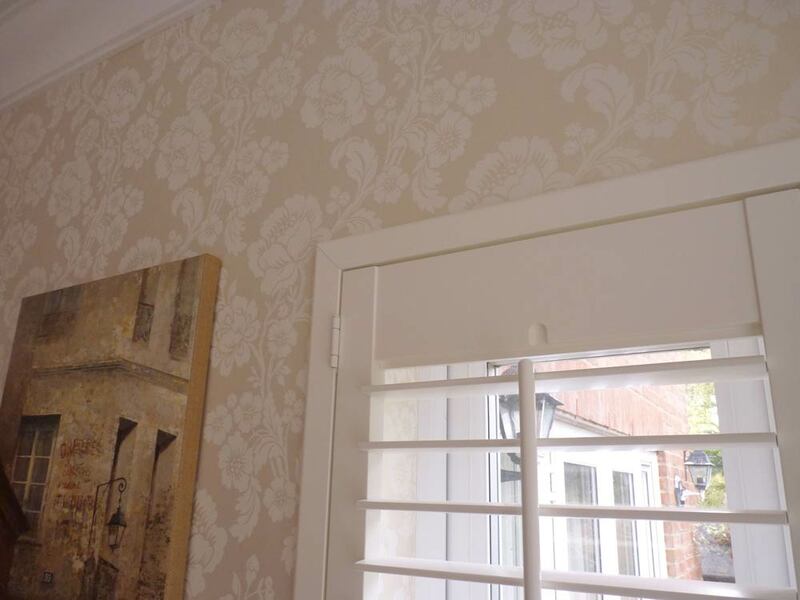 WHAT ARE FRAMES – Frames surround the actual shutter panels, they are the part that gets fixed to the window or wall and the shutters then open within the frame. 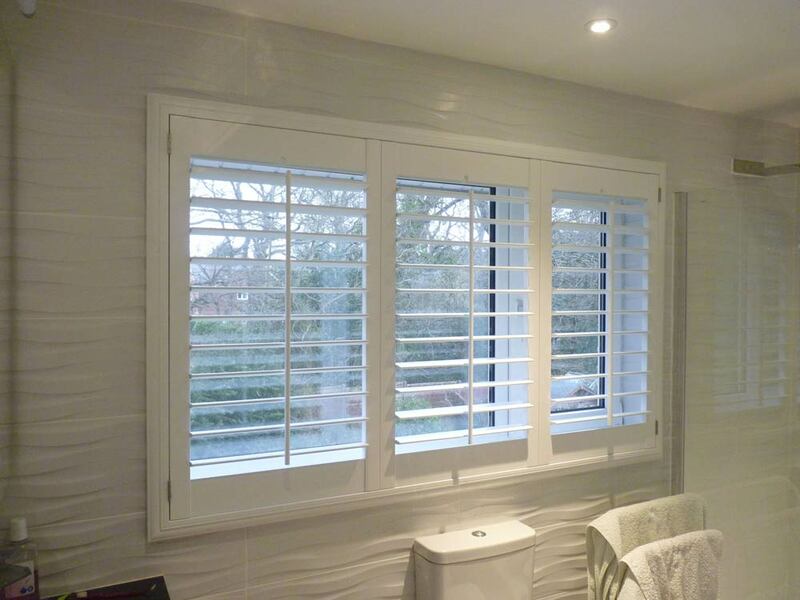 WHAT DO FRAMES DO – The shutters come pre-fitted in different styles of frames, so it’s the frame that you fix to the window or wall allowing the shutter to open and close within them. Frames have built-in light stops that have shutter magnets fitted in, this help reduce the light and keep the shutters firmly shut. 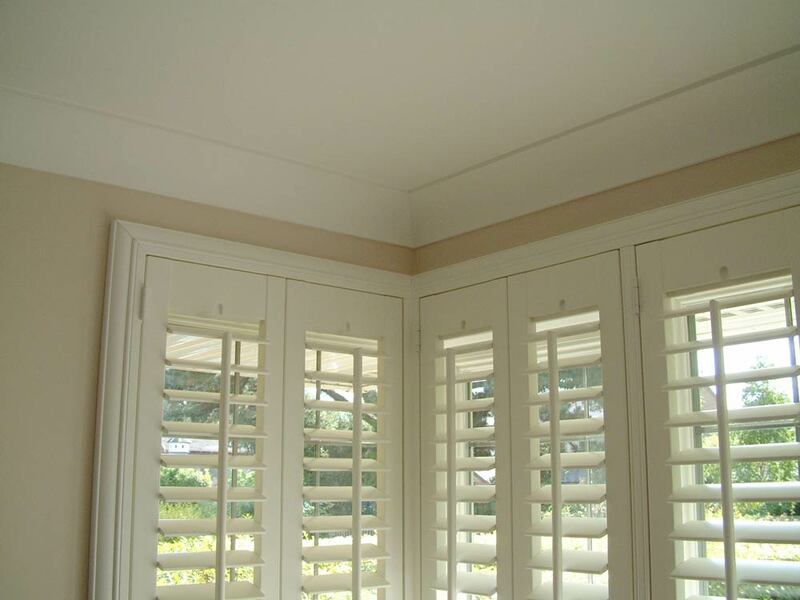 A frame makes fitting shutters very easy. DO I NEED A FRAME – No, you do not have to have a frame, but really there is no need not too. 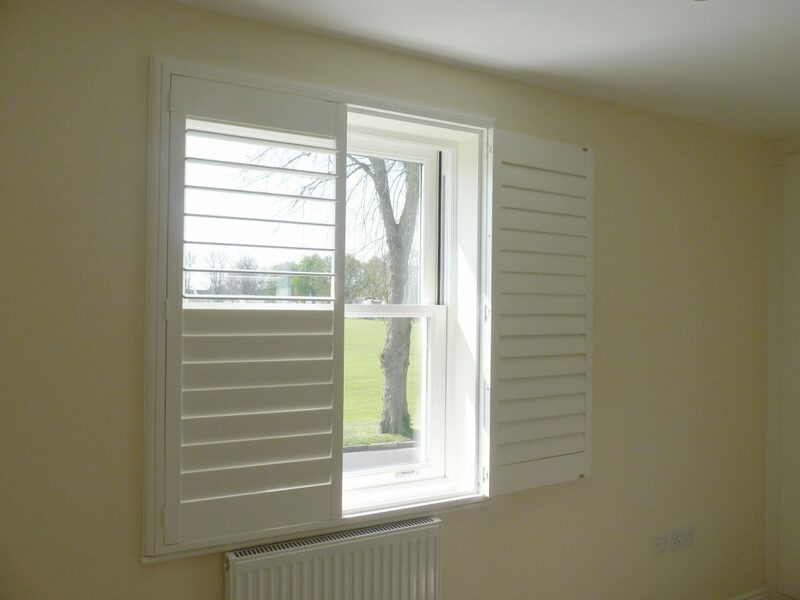 Shutters without frames are harder to fix, you need to be aware of the louvres protruding out from the back of the shutter panel and generally, you will need some kind of batten to hang the shutters on anyway, you could try shutter hang strips. The frame is basically a neatly designed side batten. HOW MUCH DO THEY COST – Standard frames are included in the price of the shutters. There is also no difference in cost if you choose not to have a frame. Some of the larger frame and deep side fix frames do have a surcharge, the medium and large L frames and the deep Z frames will cost slightly more due to the extra large size. 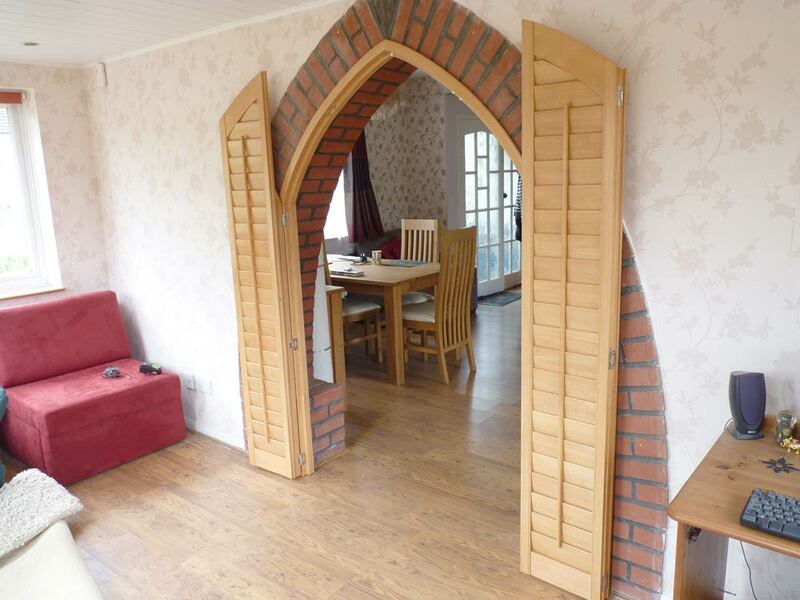 The cost is a % of the shutters. DO I HAVE TO HAVE A FRAME ALL THE WAY AROUND – Generally, a 4 sided frame is the most popular option. 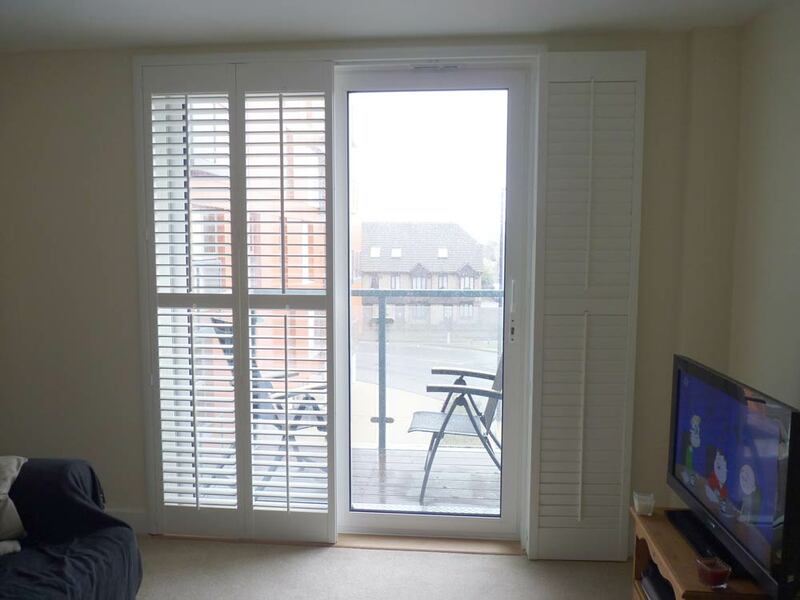 However, if your shutters cover a doorway you can choose not to have a bottom frame so there is no trip hazard. 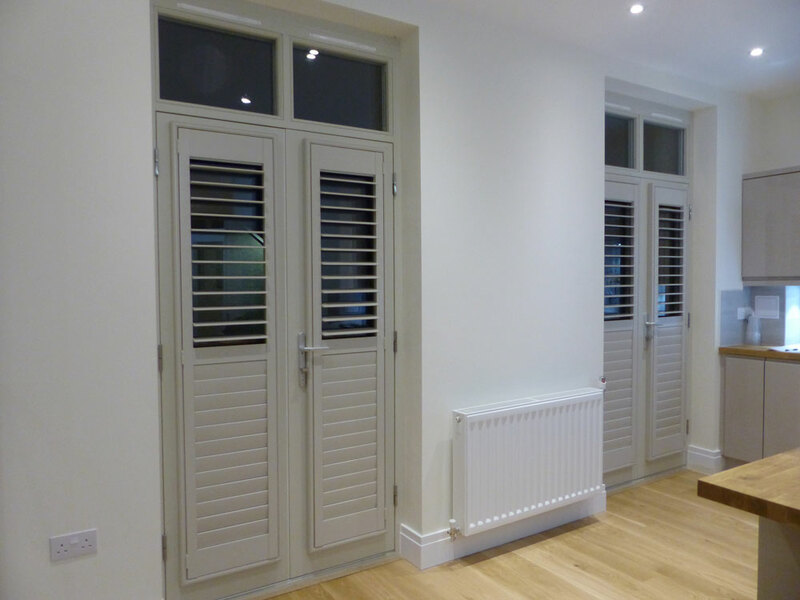 If you require the cafe style shutters you can also choose not have the top frame, the side frames will be finished flush with the top of the shutters if you select this option. 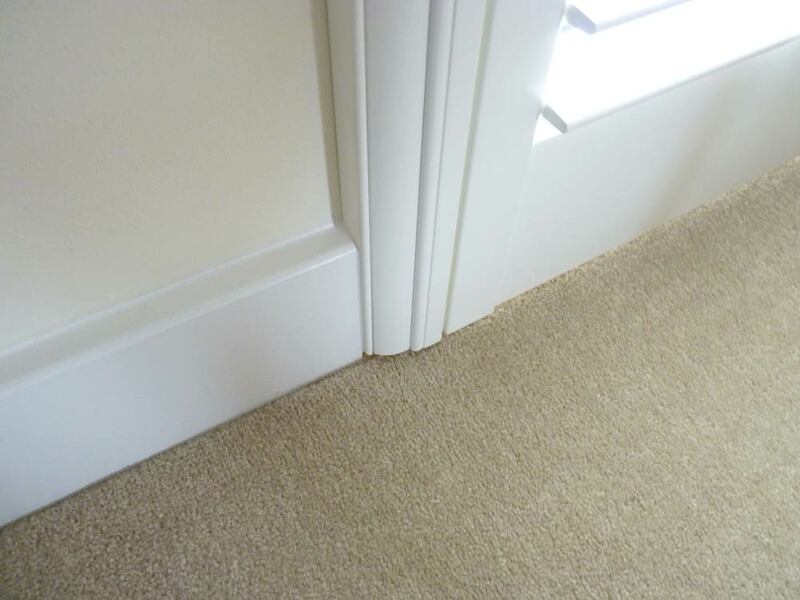 WHAT ABOUT TILES OR SKIRTING BOARD – Depending on the type of shutter you choose, the frame can be cut out around any small protruding obstacles such as skirting board, dado rail or tiles. This option will cost extra ‘per cut out’ but it allows the frame to be installed neatly into the window recess as if the tiles or skirting board were not there. There are some limitations in the size of the cut out which depend on the size and type of frame you choose. FITTING MADE EASY – Everything within the actual frame is pre-fitted, so if you are thinking of top opening the shutter hinges are correctly spaced to easily fit and locate the top and bottom shutters. 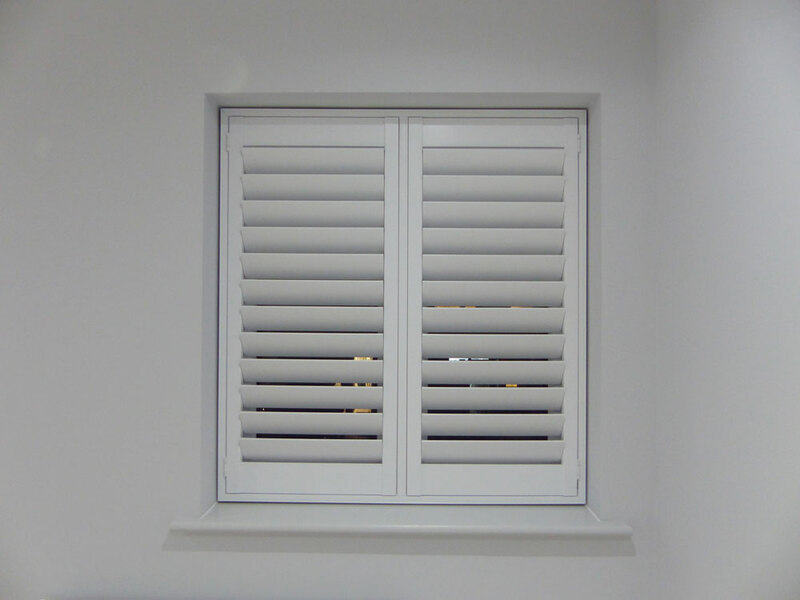 With shaped window shutters the frame is curved or angled to match the profile of your window, with the shutters inside following suit. Most of the main frame types have hidden fixing options hiding all the screw heads which provides a neat and very easy way to install them. 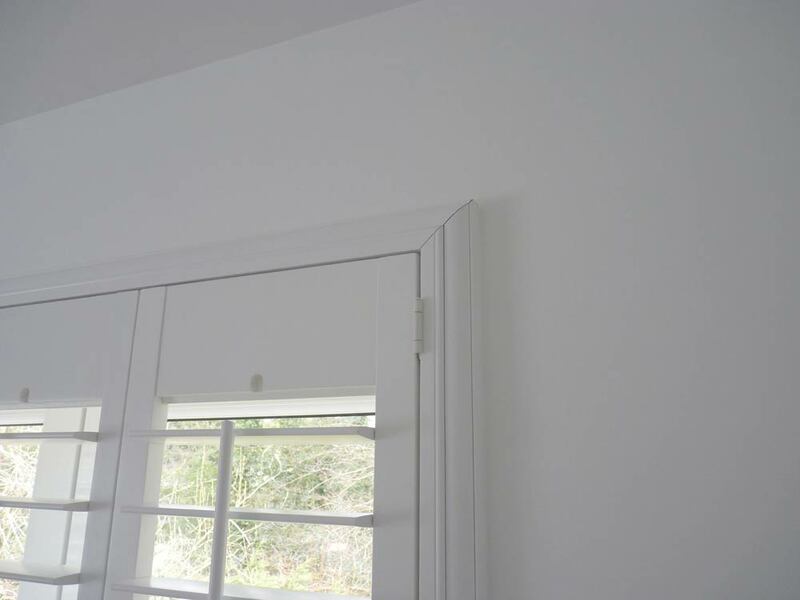 L Frames – The most popular type of frame, its designed to fit inside your recess and be fixed forward into the window or sideways into the wall. There are 3 different frame depths, these help provide clearance between the back of louvre blades and objects protruding from the window, such as handles. Z Frames – A Z frame fits half in and half outside the recess, surrounding the window like a picture frame. They allow shutters to be folded back around the wall, they are good for uneven or out of level windows as the Z part of the frame hides any gaps. There are a few different designs and two depth sizes, a standard small size and a deeper version providing a hidden side fix option. There is a sill pate option designed for fitting a Z frame down onto a window sill, the Z part of the frame is cut off, leaving a flat surface that can be sat on a sill. Deco Frames – Deco frames are designed to fit on the face of a wall. 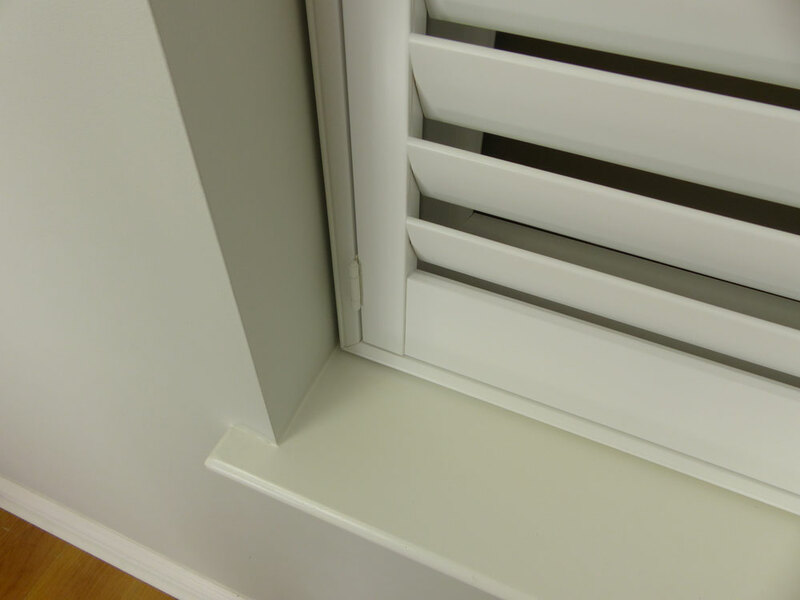 They allow the shutters to fold right back against the wall and keep the recess free of any frames, making these an ideal choice for inward opening windows. Deco frames have removable inserts in the front of the frame allowing you to fix right through the front of the frame. Note, removable inserts are not available in the waterproof ABS option. Each frame has a different design and purpose, here is a quick overview of the main designs and where you would use them.